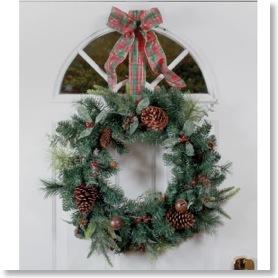 Here’s a designer trick: Before you hang your faux wreath, give it some tender loving care. Faux wreaths are shipped in boxes that flatten the stems and foliage. Some retailers hang them in the store straight out of the box. Take some time to separate and “fluff” the individual stems like you would on an artificial Christmas tree. Wreaths, especially those that are wired give you the opportunity to arrange the stems to your personal style... just like designers do. Ribbon ties together any look. 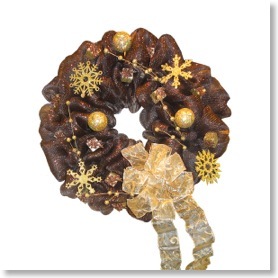 Designers use ribbon to finish home accents arrangements and wreaths. Tie bows, hang streamers, weave ribbon throughout the wreath. Wreath Pro Adjustable Wreath Hanger is a tool that uses ribbon and helps you get professional results. 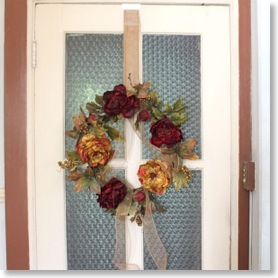 Here is a previous blog post that shows you more ideas using ribbon to hang a wreath. 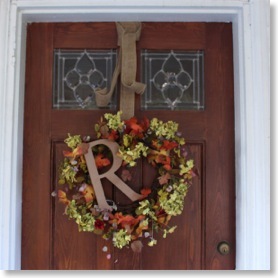 Update an older wreath by adding your personal touch. If you want to keep your favorite wreath but its color is fading and needs a little refreshing, here are some items you can wire or hot glue to make your old favorite new again. Small signs like, “Welcome”, “go team”, happy holidays and other sentiments are available in wood, metal and other materials. You can even add cards, photographs and sheet music. Use a professional wreath hanger. You have your wreath all decked out and looking great. Hang it professionally, nails, suction cups, magnetic hangers, fishing line, wire, metal hooks might not offer you long lasting professional results. 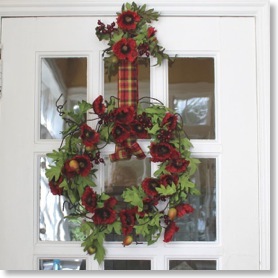 Select a hanger that gives you an easy solution to hanging your wreath. 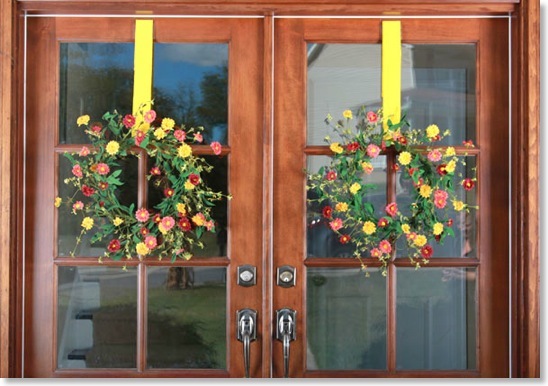 Wreath Pro Adjustable Wreath Hanger hangs your wreath with ribbon (like decorators), is fully length adjustable to any position and will give you professional results. Wreath Pro is almost invisible from both sides of the door so all you see is your beautiful wreath and coordinating ribbon. 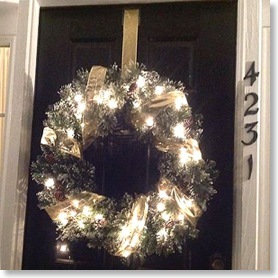 Browse through the Wreath Pro Blog for wreath hanging ideas, how to videos and more. Visit our FAQ, Wreath Pro Advantages and customer success stories pages for even more information. Don't forget to send us your story and photos of your favorite wreaths.